Click the image above to view the survey results (PDF). Can't see the image? Click here. The Saxon Harbor campground and marina were destroyed in the flood event of July 11, 2016. Reconstruction of harbor assets is critical to restoring economic stability to the region and ensuring safe navigation on Lake Superior. As the focus shifts from response to recovery, a window of opportunity exists to develop a concept plan for the reconstruction of the harbor and adjoining area. 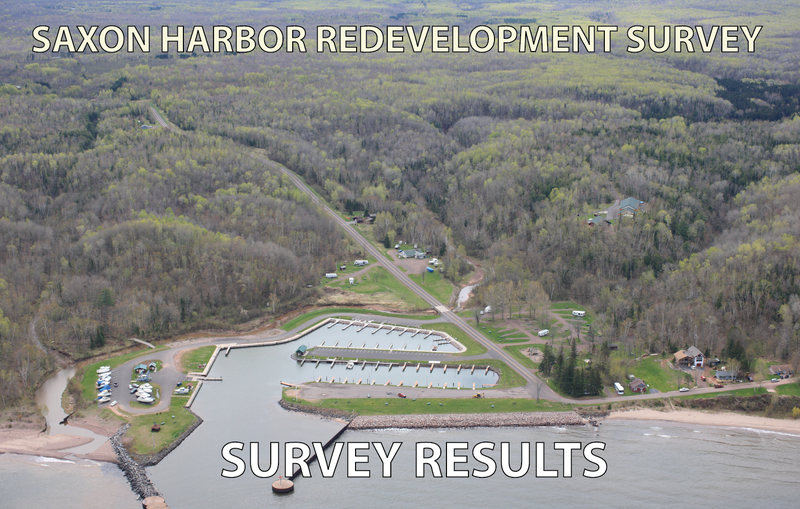 The purpose of this survey is to collect public input which will help inform the planning and redevelopment of Saxon Harbor. Questions regarding the survey can be directed to Jason Laumann at (715)-635-2197.